How time flies! 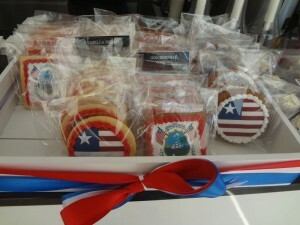 It is already one year since my mom started working in Liberia. This month is her one year’s anniversary there. She has survived while struggling with a lot of challenges. Congratulations, Mom! Oops, I should also say, “Congratulations to Liberia” as well. 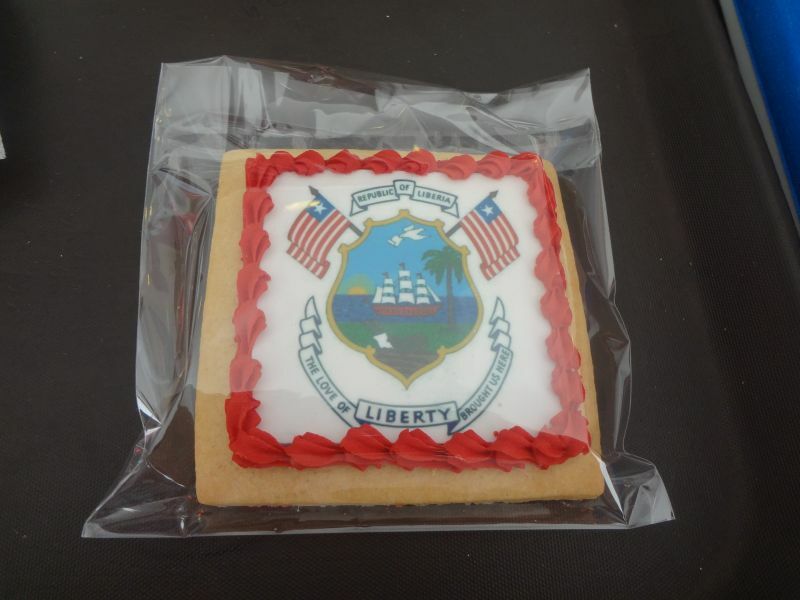 This is Liberia’s coat of arms, which depicts a coastal landscape in which a 19th-century ship carrying freed slaves from the United States arrives in Liberia. In the symbol, the plow and shovel represents dignity and labor; the palm tree represents prosperity, and the white dove represents peace. 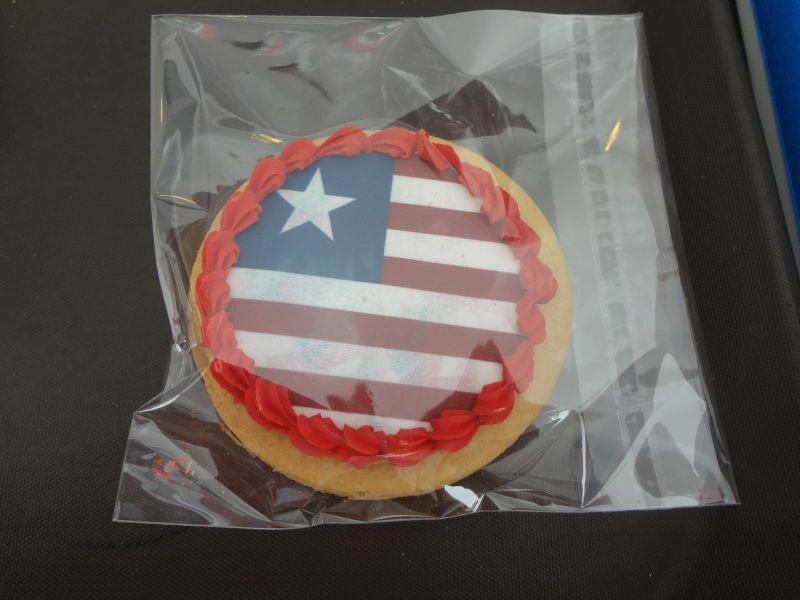 This is Liberia’s national flag. 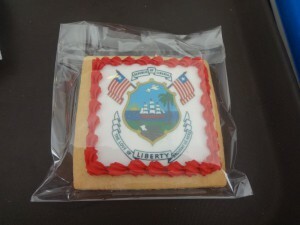 It is modeled on the U.S. Stars and Stripes. 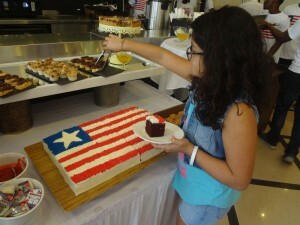 The red and white stripes represent the eleven signers of the Liberian Declaration of Independence. The white star is symbolic of African unity. 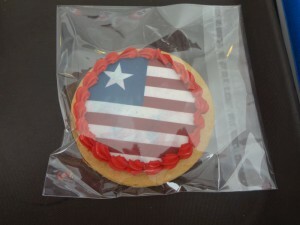 Paying a due respect to Liberia, I will eat the cookies. They must be “beary” delicious! Look! A restaurant in the same hotel is serving a commemorative cake. It looks “beary” delicious, too! *Note: Explanations about the flag and coat of arms were attained from the following site.